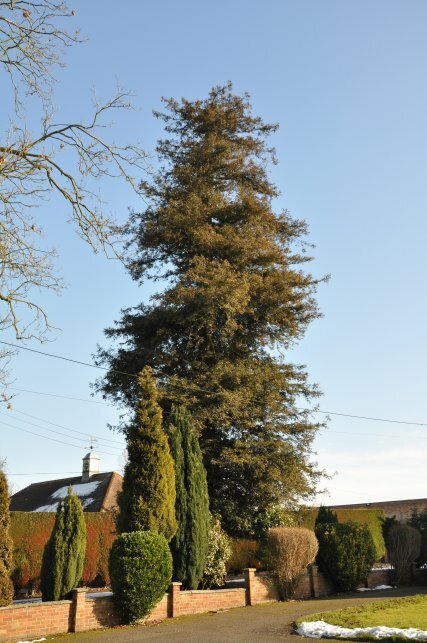 This tree, on the righthand side of the main road just outside Braintree (on the way to Halstead), demonstrates the classic Coast Redwood trunk. It is straight in profile, very different to the tapering of the Giant Redwood's trunk. To the left of the trunk, notice the shoots sprouting from its base. This is also typical of the Coast Redwood, and very rare in the Giant Redwood. 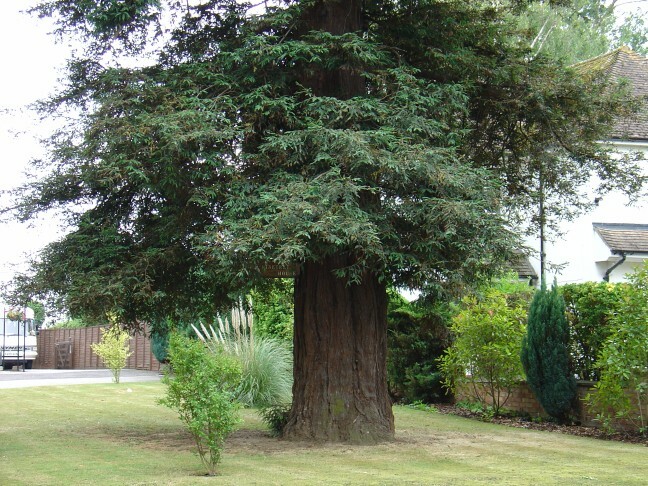 In fact, if a Coast Redwood is cut down completely, it will usually sprout many stems of fresh growth from the stump. A very determined tree indeed! Girth was measured at 1.5m from ground.